Blog Digital Marketing How to Choose the Best Digital Marketing Course? How to Choose the Best Digital Marketing Course? A Career in Digital Marketing: Hot or Not? You must have heard, read or even shared statements like the above, lately. It’s no secret that the growth of Digital Marketing and various platforms have changed the face of marketing communications, in the span of last 15-16 years. It has opened so many new channels, platforms and other avenues for marketing, that everyone, be it the brands, marketers or audience, is spoilt for choices, unimagined a few years ago. The opening of new avenues has brought in the scope of new professional roles, demand for cutting-edge expertise and a whole new generation of specialist jobs unheard before. Figure these new age job titles – Digital Marketing Executive/ Manager/ Associate, Social Media Marketing Executive/ Manager/ Associate, VP- Digital Marketing, Head- eCommerce Marketing, SEO Specialist, SEM Specialist, Influencer Marketing Manager, Content Marketing Manager and the omnipresent, overused and everyone’s favorite, Growth Hacking Specialist. These are actual job titles with attractive salaries that almost every company is looking to fill up. None of these existed a few year ago and today these are the ‘it’ jobs of the moment. And no, don’t make the mistake of taking them as a passing fad. These jobs are here to stay, and for good. Will it help you with your career or business? How? If you’re thinking like a lot of people that just because you’ve a rocking social media life (in your head mostly! ), you’re also going to be a rockstar Social Media Manager, then here’s a news flash for you – wake up! Make no mistakes. Ok, so you spent some time tinkering around Digital Marketing tools from Google, like Google Analytics, AdWords, WebMaster and AdSense etc. You also did your so called “thorough research” and read some blogs, watched some tutorials and hacks on YouTube. And now you’re feeling like, you’re all ready to become an SEM ninja. Stop right there! There are way too many people who are behaving almost like digital marketing imposters. People get swayed by the ease of using digital marketing tools, ease of access to so many freemium tools to do simple stuff, and tons of material promising to make you a digital marketing expert overnight. Don’t fall for this trap! The problem is simple, in fact it’s ridiculously simple. What is simply getting missed and you should watch out for, is that there is still Marketing in the term Digital Marketing, for a reason. The basics of marketing still apply. No matter how good you might be in using functions of Google Analytics, if you don’t understand how to communicate with your audience, all your data crunching is useless. If you don’t understand how to spot trends, patterns and draw insights, no matter how much and what quality of data you have at your disposal, it’s going to lead you nowhere. 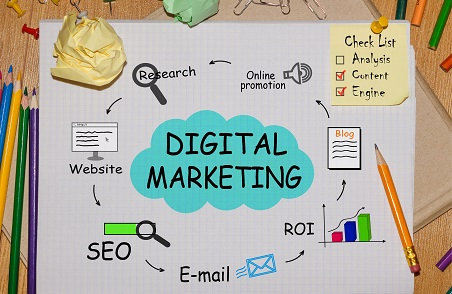 A good Digital Marketing institute will help avoid these common mistakes, will keep you grounded, will give you a reality check; and will equip you with spotting these fallacies. How does it achieve that? By building a solid foundation of fundamentals. A good online Marketing course will take you through basic concepts and then expand those concepts into advanced learning. Thus, not only you get exposed to the nuances of Digital Marketing Fundamentals, but you also you get to learn how to use these basics to apply in the larger framework of Digital Marketing Strategy. And all of this would be done under the guidance of experienced trainers, a thorough course material laced with lots of real examples and loads of practical exercises so that you can experiment and learn for yourself as in how it all comes together to make a successful Digital Marketing campaign. You would be conceptualizing, deploying and basking in the glory of your own successful Digital Marketing campaigns soon, once you’ve completed and learned every aspect of your well structured internet marketing course. Hence, the actual question is not, whether or why you need a Digital Marketing course. Instead, the question is, which is the best course to go for. How to Evaluate and Choose the Best Digital Marketing Course for Yourself? First things first. 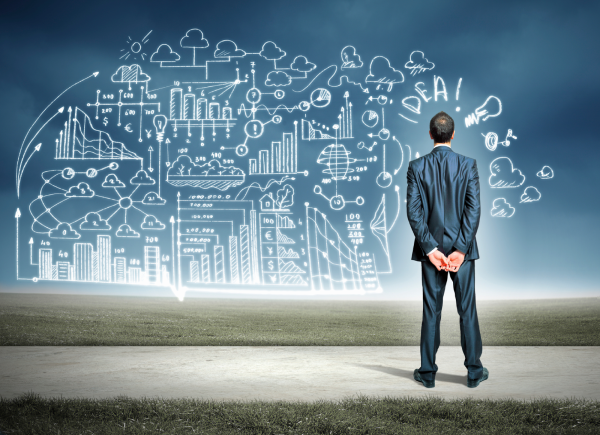 There is no secret formula to choose the best digital marketing training. If you were hoping to land your hands on some secret sauce, let’s get it out of our way, right now. There is certainly a process- a right way to go about it. There are best practices to follow. There are certain Do’s and Don’ts. We’ll provide you with the right ingredients of a good Digital Marketing course, in this article. Creating your recipe for choosing the best and the most suitable Digital Marketing Certification course for yourself, is in your hands. 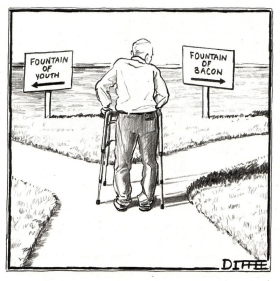 We can show you the path but you’ll have to walk on it. Reputation of an Institute might not seem such a big deal in the face of other pertinent criteria to look for, but this is where your evaluation for a Digital Marketing Course, or any course for that matter, should begin. A reputed institute makes all the difference into what happens not only during your course but also how your candidature is perceived in the market, afterwards. How old is the institute and how it has grown since its inception? What the journey has been like? What are the key milestones achieved so far? What are the past achievements of the institute? How is the alumni profile of the institute? How its alumni has fared after completing their course from here? Can the institute connect you to some alumni for seeking guidance? How the institute ranks against the competition on various reputed and widely accepted ranking programs? Has the institute obtained required accreditation for the programs on offer? What these accreditations mean for the health and repute of respective courses? Has the institute secured any key strategic partnerships? What are the benefits of those partnerships to its students? Reviews: What Others have to Say about the Course? One of the beauties of Digital Marketing is that, it has contributed a lot into making the brand reputation a very democratic process. People have various platforms, to share their experiences, reviews, goods and the bads to look out for and to be able to really speak out for something that they have experienced first hand and can share the same experience with others for the larger good. Check the reviews for both the course and the institute on various reputed and relevant platforms. Read the testimonials carefully to spot some underlying realities of the course. Try to know what others have to say about the course and the institute. It’ll give you a fair idea as in what you’re getting into and if it’s worth it. You don’t always have to make mistakes to learn from, you can also learn a great deal from others’ experiences if only you’re careful enough to look for it. One of the most crucial yet often overlooked criteria, of choosing a Digital Marketing course, is the faculty of the institute. The trainers are the actual medium of learning for the students. After all, the trainers are the actual points of contact, the “moment-of-truth” , as the marketing terminology defines it. 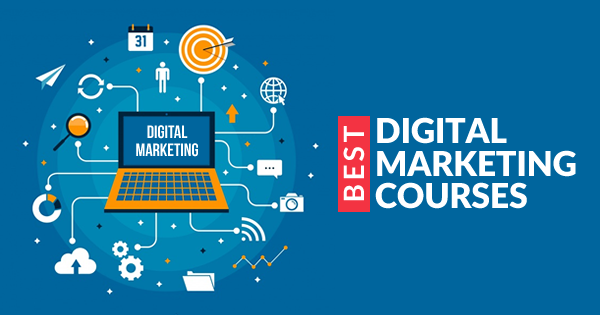 No matter how good an institute’s laurels might sound, no matter how well-crafted the choosing the perfect Digital Marketing Course,Course curriculum might be, if your trainers are not upto the mark, all of these, are gonna fall flat. If we say that the trainer is the most important link in the chain of decisions that we make into choosing the perfect Digital Marketing training, it won’t be an exaggeration. It would also be important to mention that doing a background research, on the leadership team of the institute and each of its flagship courses, their professional experiences and credentials, would be a good indicator to know how well-managed an institute and how well-recruited its trainers could be. Dig a little deeper than what meets the eyes and you will unearth the truth, the useful truth. You should pay close attention to how well the course curriculum and pedagogy have been structured. A good pedagogy would have ample amount of scope for practical training, projects, examples to get your hands dirty with, and assignments to really challenge your learning on-the-go. A pragmatic pedagogy would keep its students engaged, involved, interested and curious about the topics. A focus on infusing practical training into the core theoretical concepts would help ensure a well-rounded learning. After all, everything would seem too virtual in a Online Marketing course unless you get to actually perform practical exercises. The more you practice, the more you would learn. It stands true when it comes to Digital Marketing too. Look out for the schedule and the structure and how much scope the course would give you to practically test your classroom learning. Also check, if practical knowledge is actively encouraged during the courses and how well equipped the institute is, to provide infrastructural support for practical training for each participant. Digital Marketing Course Curriculum – What you will learn? How your curriculum is designed, plays an important role into how rich your learning during the course would prove to be. You should closely scrutinize the curriculum to ensure that all required topics are covered in the course that you’re planning to sign up for. You should also find out how much time and attention would each of these topics would get during the course, and how in-depth important topics would be dealt with. What are the topics being covered in the curriculum? Do the topics cover all the important aspects of the course/ certification that are essential to your learning? Are the topics contemporary and consistently revised, as Digital Marketing witnesses new theories and changes in the existing ones, quite frequently? What are the Digital Marketing streams covered in the scope of your course: SEO, SEM, Social Media Marketing, Content Marketing, email Marketing, Influencer Marketing, Mobile App Marketing etc., to name a few? Are the concepts amply supported with real-life examples and explanations? What are the practical exercises included in the curriculum? Are there any guest faculty interactions with imminent industry professionals? What are the kind of assignments that you would get to work on? There is no dearth of options when it comes to Digital Marketing Certifications available in the market. There are so many and so similar sounding certifications, that it might completely confuse you as to what is the real differentiation between those. If you pay close attention, some of them would be so redundant and so vague that you would be left wondering, what would it even mean to have that certification on your profile. You should be careful into where your limited resources are being consumed, when it comes to choosing the right Digital Marketing Certificate, on the parameters of the value that it would bring to your professional life. What are the certifications on offer? What is the perceived value of those certificates on your CV? What is the weightage of certification considered in the industry? Is the institute an official authority to provide you with these certificates? How obtaining a particular certification will help you in landing your desired job? Which certifications have your Digital Marketing Course curriculum prepared you for? Which certification exams are you eligible to undertake? Method of dissemination is an important criteria to consider while choosing the right Digital Marketing course for yourself. A large part of the participants is full-time professionals who are either looking to add another feather to their already heavily adorned marketing crowns, or those who are hopping onto the Digital Marketing bandwagon in the hopes of a brighter future. In either case, you’re going to need a flexible mode of training to provide you with the best benefits of Digital Marketing. Though immersive in nature, offline courses pose some inherent limitations. You would need to allow additional unproductive time and costs to accommodate commute for these classes. Many a time, something will come up and you would have to miss a class here and there. And what you missed is never coming back. Too much hassle in our already hassled lives, isn’t it? A lot of people will not be able to reap all the benefits because of these issues. Your limited resources like time and money have better usage than city commute Dread the hassle of city travel? Found the perfect Digital Marketing course but having second thoughts owing to the time and money that you’ll lose, just to attend the classes? Welcome to the world of online learning. It’s your life, schedule it the way you want With the ease of an online course, you wouldn’t have to follow and function schedules set by someone else. Claim your time and life back, make your own schedules and attend a class when you want, wherever you want. Recorded classes, so you never have to miss anything You can go through a class as many times as you wish because these come in recorded format. All the material would be available to you in digital format which makes it easily accessible and easy to store for future use. Always stay connected with your trainers, coordinators, and fellow batchmates Your trainers, batchmates and course coordinators are just a click away, literally. 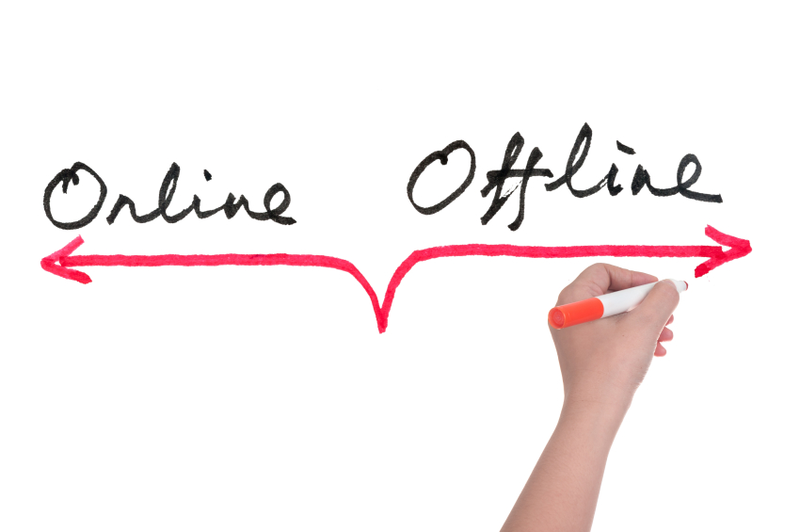 Since everyone interacts digitally with each other in online courses, it’s so much easier to stay connected with the common community. You can interact with each other, ask and solve questions and problems related to the course, learn from what others are learning and you can go back to all these discussions anytime you need. Learn from the best in the world: the world would be both your classroom and the playfield In an online course, your classmates and trainers could be interacting with you from any part of the world. Since geographical limits are diminished, people from across the world can come together to learn and to disseminate learning. World-class faculty could be imparting lessons to you, you could access the global knowledge pool with stunning ease. It would make you a part of a truly global and diverse knowledge community. Imagine the possibilities. If we’re going to go Digital, why not start here? Using Case Studies is a very effective and widely accepted method of explaining the nitty-gritty and complexities of concepts. Case studies make the concepts relatable, real and help to put together different aspects of learning, in a cohesive manner. Check, if your curriculum includes Case Studies as a key method of teaching. Also check, how those Case Studies are presented and handled during the course by the trainers. A Internet Marketing Course would need various tools to be used for effective learning. There are many tools available to help with Digital Marketing learning, like using demo cases, game learning, course simulations, tools for data analytics and reporting etc. Check, if your course considers training you into using and providing with some useful tools to support your learning, and to help you with your practicals. Does the institute provide any support for placement of its students? 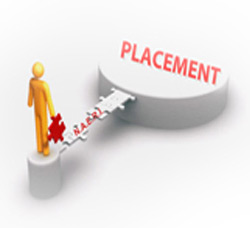 What are the kind of placements, students have been able to secure in the past? What kind of salary packages past batches have received, after completing their course with the institute? Does the institute have any industry tie-ups and support system to invite companies to hire from its batches? Are companies hiring for Digital Marketing jobs, related to the course and certification that you would be undertaking? What are the job profiles that you would become eligible to apply for, post completion of the course and certificate? Understanding your payment options and payment schedules is important so that you have the flexibility of changing your decision, if the course doesn’t turn out as per your expectations. Multi-stage payment structure, not only eases the burden on your finances but also ensures that the institute will be accountable to maintain the standard of quality throughout the program. Is the fees for the course competitive as per the industry standards and current trends? Basis the expected outcomes, what is the kind of RoI (Return on Investment) you can expect on your fees? What are the various payment options available to you? What are the payment schedules like? Can you break the fees in multiple stages for payments? Does the institute offer an option for easily manageable installments? Does the institute have a support structure during and after the course beyond just the classroom training? Is there a structure to help you if you have any queries or need any help after the course, or after a particular class is over? Does the institute have a plan to provide counseling and consulting, in addition to the course curriculum? Can you reach out to the faculty and institute officials and course coordinators, if needed? Does the institute have a system to help you with professional recommendations, references and networking opportunities? There is no one course or institute that can fit the bill perfectly because there is no right or wrong when it comes to choosing the best Digital Marketing Certification Course for yourself. This article gives you a guideline to look out for and to help you with the decision-making process. You can take inputs from this and make your own selection criteria, and pick the one that ticks most boxes on your criteria list. This article is created to help you get started with your search for the best Digital Marketing Course and to keep you on the right path. Seek and thou shalt get it! Aspired to build a successful career in digital marketing? Enroll now for one of the best digital marketing courses: Digital Marketing Master Course and Facebook Marketing Master Course. Best example and clear way you showed.Thank you so much for this blog. It was extremely informativeI really like your post because it will be useful for readers so thanks for writing a such useful information.Great stuff here, thanks for sharing. Seems you have a lot of great content on the site. Great work, keep it up!.